The United States Conference of Catholic Bishops (USCCB) is gathered in Baltimore this week for its General Assembly, in which they were expected to enact new standards of conduct and accountability for bishops engaged in sexual abuse or its cover-up. At the start on Monday’s meeting, however, USCCB president, Cardinal Daniel DiNardo of Galveston-Houston, announced that he had received a request on Sunday afternoon to postpone the vote until after a global summit on the crisis at the Vatican in February. According to CardinalDiNardo, the request came from Canadian Cardinal Marc Ouellet, prefect of the Vatican’s Congregation for Bishops. McKiernan and Doyle both recalled the 2002 USCCB meeting where the bishops enacted a “zero tolerance” policy against priests found guilty of abuse. At the time, the U.S. bishops had to appeal to Rome to amend canon law in the United States to accommodate the new policy – a move at the time that some within the Vatican opposed. 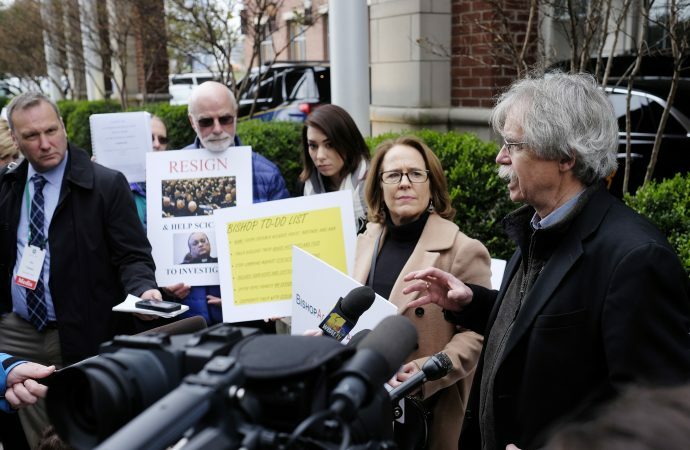 “On one hand it’s disappointing that Vatican officials continue to feel no urgency about this crisis,” David Clohessy, the ex-national director of Survivors Network of those Abused by Priests (SNAP), told The Tablet. In the immediate aftermath of Monday’s revelations, Cardinal Blase Cupich of Chicago proposed that the U.S. bishops continue to discuss the new protocols and take a non-binding vote in order to give Cardinal DiNardo a sense of where the conference stood ahead of the February Vatican meeting, where he will represent the U.S. bishops in Rome. At a press conference on Monday, Cardinal DiNardo – who sought to express adequate frustration over the Vatican decision, while at the same time seeking to show deference to the global Church – seemed to support Cardinal Cupich’s suggestion. Accountability groups and survivors also indicated support of Cardinal Cupich’s proposal. McKiernan, however, warned that U.S. bishops are increasingly polarized over the direction of the conference and expressed some wariness as to whether not the idea might gain conference-wide support. “I wonder if the conference is going to follow Cardinal Cupich down that road, but I really hope they do,” he said. Meanwhile, McKiernan and Doyle were adamant that the bishops find tangible ways to show forward motion on accountability. Doyle said that over 50 dioceses around the country have followed such a course and called on others to do the same. “The conference could certainly commit itself, even without a vote, to encouraging its members bishops to that process,” she said. Bishop Christopher Coyne of Burlington, Vermont, who is the outgoing head of the USCCB’s Committee on Communication, told The Tablet that he supported such a proposal.